The Ameba RTL8195 is an Arduino-compatible development board for IoT. Like many IoT boards, the RTL8195 is optimal for any type of “sensing” project, from solar energy systems and other environmental readings to automation solutions as well as quadcopters and robotics. 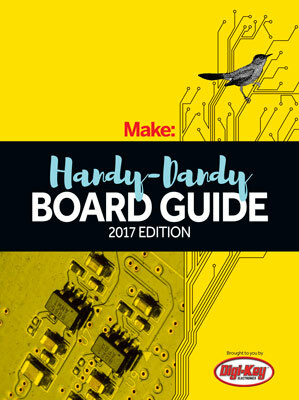 The board comes with Wi-Fi connectivity and an NFC tag with ethernet support via the Arduino compatible headers. Programming is easy, as it utilizes the Arduino IDE. The SDK is available for download, and the standard SDK is fully supported for cost-effective Ameba IC that connects to various cloud servers with ease. The SoC is the RTL8195AM ARM Cortex featuring connectivity hardware SSL, SRAM, and Flash. This is a great board for anyone who’s looking to do more wireless IoT projects and feels comfortable with the Arduino platform.